The Charlotte real estate market is off to a great start in 2016. Median home prices for the Queen City reached $190,300 in the first quarter, compared to the national average of $215,767. What’s more, appreciation and employment rates remained on par with the average. The differentiator between Charlotte real estate and the rest of the country is found in its long-term value, as total equity gains far outpace the national average on a long-term basis, which bodes well for Charlotte real estate investors and homeowners alike. In addition, home affordability continues to outshine the national average, making the Charlotte housing market one of the more affordable markets in the nation. 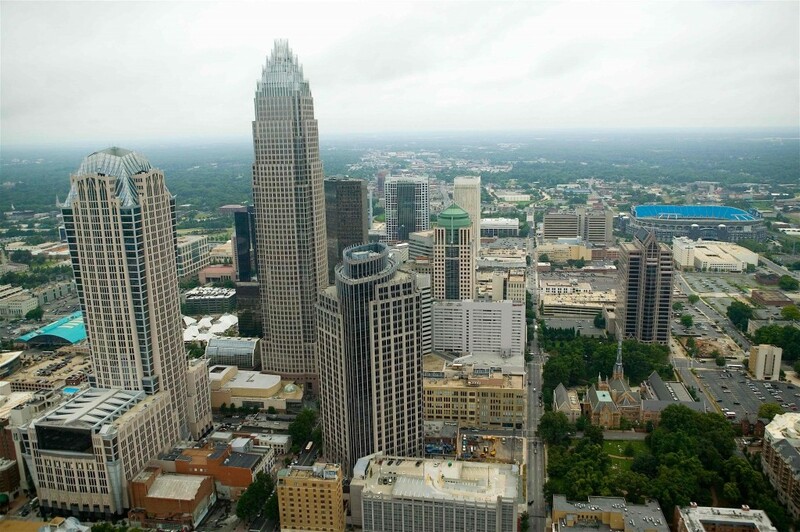 The Charlotte real estate market should further improve in the second-half of 2016. Homes purchased in the Charlotte, NC housing market one year ago have appreciated, on average, by $13,616. The national average was $15,781 over the same period. Homes purchased in the Charlotte, NC housing market three years ago have appreciated, on average, by $43,311. The national average was $49,356 over the same period. Homes purchased in the Charlotte, NC housing market five years ago have appreciated, on average, by $57,511. The national average was $68,727 over the same period. Homes purchased in the Charlotte, NC housing market seven years ago have appreciated, on average, by $77,806. The national average was $59,758 over the same period. Homes purchased in the Charlotte, NC housing market nine years ago have appreciated, on average, by $70,951. The national average was $16,435 over the same period. Since the recession, price appreciation and principle payments in the past three years have boosted total equity growth for the Charlotte real estate market. As shown above, total equity appreciation gains were significantly higher than the national average in year seven and nine, which saw the appreciation gains for Charlotte real estate leapfrog the nation by $18,048 in year seven, and $54,515 in year nine. That said, Charlotte real estate investing is ideal for long-term investments. As of July 2016, there are currently 2,132 properties in the Charlotte area in some stage of foreclosure. According to RealtyTrac, the number of Charlotte foreclosures in the month of July was 13 percent lower than the previous month and 49 percent lower than the same period in 2015. Additionally, the number of REO properties increased a whopping 40.3 percent from the previous month while falling a 54.2 percent from the same period last year. The first quarter of 2016 saw the Charlotte real estate market put up very similar figures to the national average, but Charlotte did surpass the nation in several aspects, including home affordability, new housing construction, and employment rates. The unemployment rate for the Charlotte area was 5.1 percent during the first quarter of 2016, slightly above the national average by 0.1 percent. Compared to a year ago, unemployment rates in Charlotte have improved 0.3 percent while the national average saw a 0.5 percent improvement. In terms of employment, the job growth rate for the Charlotte area was higher than the national average, growing at a rate of 2.7 percent compared to 2.0 percent in the first quarter of 2016. The North Carolina economy is stronger than the nation’s, according to the National Association of Realtor’s State Economic Activity Index, as it continued to grow at a rate of 4.1 percent during the first quarter of 2016, compared to the national average of 3.1 percent. Another aspect helping to boost the Charlotte housing market is home affordability. Although historically strong and an improvement over the fourth quarter of 2015, the ratio of income paid to monthly mortgage payments in the Charlotte area was 9.2 percent during the first quarter of 2016. This is actually better than its historical average of 10.1 percent, and better than the national average in Q1 of 1.45 percent. The Charlotte housing market, which is now more affordable than most markets, continues to be an example of home affordability in the United States. Furthermore, the current level of new housing construction is 60.5 percent above the long-term average, with single-family housing permits growing by 10.3 percent, compared to the national average of 11.3 percent. That said, Charlotte real estate investments should see a bump in coming years. Looking forward, the National Association of Realtors forecasts the North Carolina market to see weaker price growth in the next 12 months, but not by much. Price expectations for the Charlotte real estate market in the first quarter was 3.7 percent compared to the national average of 3.8 percent, and this should play a beneficial role for Charlotte real estate investors, homeowners and potential first-time homebuyers.